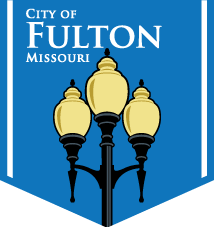 The mission of the Fulton Fire Department is the protection of life, property and the prevention of fires through Educational Programs and Fire Inspections for the City of Fulton. The Fulton Fire Department, consisting of 24 career employees and 14 volunteer/part-time personnel, responds to all emergencies within the City of Fulton and to mutual aid calls with other departments, fire districts and emergency services. Further, the Fulton Fire Department provides service for vehicle accidents, hazardous materials, water rescue, emergency medical, and other such occurrences. At the fire department, one of our main goals is keeping your fire insurance rates low. Insurance Service Offices (ISO) rate fire departments across the country on their capabilities and services. These ratings correspond to a rate charged for fire insurance by the insurance companies. We currently have a rating of “4” on a scale of 1 to 10, with 1 being the top rating and 10 being the lowest. The Fulton Fire Department take pride in this rating and will continue to keep working to try to improve this rating. We keep the fire hydrants color coded for water flow rates. The hydrants are silver with blue, green, orange or red color coded. Please do not change the colors, plant vegetation or block the fire hydrant. Keep grass trimmed and snow away from blocking easy view of a fire hydrant. Also when in public places be aware of fire lanes so we can guarantee access to these places in the event of an emergency. The City of Fulton Fire Department was established in the late 1890’s, although the exact date is unknown. Prior to the establishment of the City department, the only fire protection service was provided by the Fulton State Hospital from 1874 to the 1890’s. The Fulton Fire Department has adopted and enforces the 2006 International Fire Codes including Burn Permits per Code 307.1 and Fire Hydrant Obstructions per Code 508.5.4. If I work on Saturdays, how can I get rid of my Household Hazardous Waste? Will the fire department assist me with the installation of a smoke detector or carbon monoxide detector? Can I have a children’s car seat installed in my vehicle?